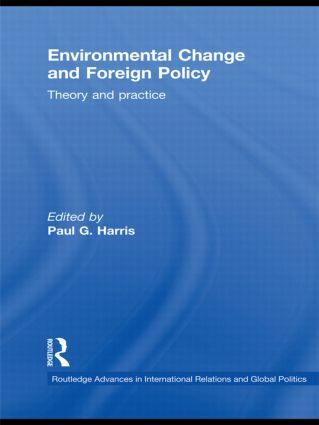 Environmental Change and Foreign Policy: Theory and Practice and its companion volume, Climate Change and Foreign Policy: Case Studies from East to West, examine and explain the role of foreign policy politics, processes and institutions in efforts to protect the environment and natural resources. They seek to highlight international efforts to address human-induced changes to the natural environment, analyze the actors and institutions that constrain and shape actions on environmental issues, show how environmental changes influence foreign policy processes, and critically assess environmental foreign policies. Introduces the concepts and theories of Environmental Foreign Policy, providing a theoretical overview as well as addressing the construction of nature, the symbolism of environmental policy, and business and government responses to climate change. Explores the practice of Environmental Foreign Policy, describing how both developed and developing countries have approached a variety of environmental issues, including persistent organic pollutants, water, biodiversity, climate change and the trade-environment nexus.